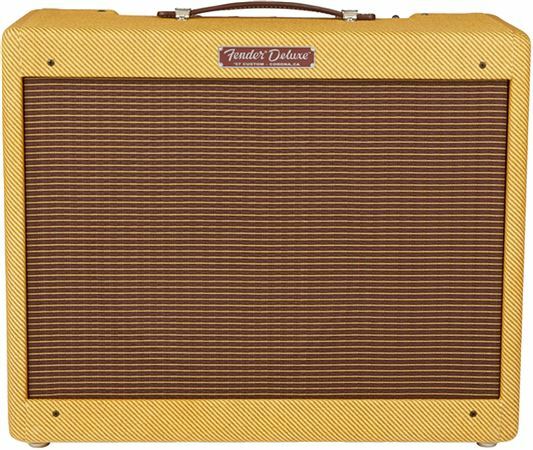 Shop Fender 57 Custom Deluxe 12 Watt Tube Guitar Amp from AMS with 0% Interest Payment Plans and Free Shipping. The original all-tube 5E3 circuit is renowned for its early-onset distortion and highly interactive controls—a little experimentation unlocks a world of tonal treats for your ears. The classic design is updated with improved volume pot tapers, offering more precise control at low settings used for rich, mellow clean tone from the Instrument and Mic channels. 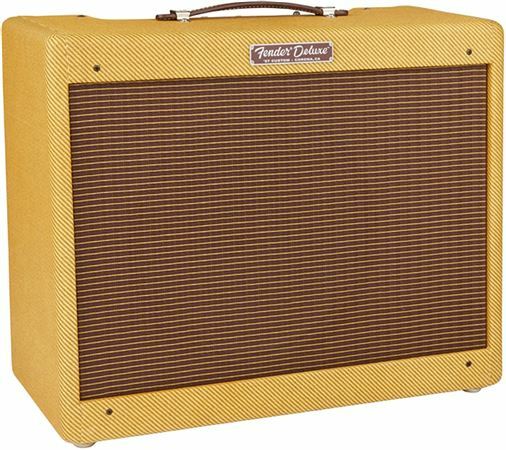 The handwired circuit includes premium yellow coupling capacitors chosen for their authentic vintage Fender tone—producing sparkly cleans and creamy overdrive with smooth top end and round mids. A newly designed single 12-inch 8-ohm Eminence Special Design alnico speaker delivers these rocking vintage tones, driven by a pair of 6V6 power tubes for 12 watts of classic tube sound and touch-sensitive response. Period-accurate appointments include a lacquered tweed covering and a top-mounted control panel with easy access to the highly responsive chickenhead control knobs—all housed in a durable cabinet. With timeless looks and premium vintage sound, the ’57 Custom Deluxe delivers everything a guitarist’s heart could desire. Includes a protective cover. Great vintage vibe!! Worth every penny!! Outstanding!! Great cleans and breaks up and saturates beautifully when cranked!!! Been playing through this tuned down to c and cranked . Very warm and dark tones come out of this monster!!!! Very interactive controls. I thought I would miss not having reverb, but I don't. 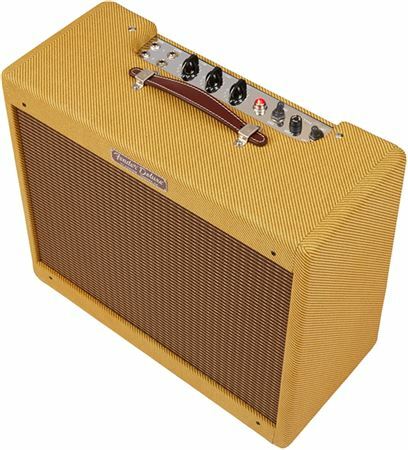 This amp has great bass reponse and amazing tonal range. Warm and thick from clean to dirty. 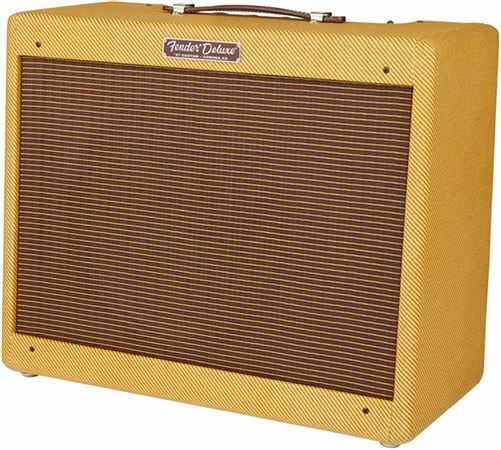 Definitely louder and stronger than my Blues Junior. I've had it for 3 weeks and like it more the more I play with it. Ah, my ship at last! At last I have found the device to re-create the sounds/tones that I love. Some people gripe about the 5E3 and say it's too loud and gainy too quick. Or they cry that it's too boomy. These are the mamby pambies that are used to instant tonal response via push-button technology. But, as we all know, push button effects only get us in a ballpark zone and rarely ever deliver exactly what we want. The knobs and tone knob on this jewel are interactive. Also. input jacks can be jumpered from instrument to microphone jacks. Tonal changes and gain input amounts are almost infinite once one experiments and learns different combinations of controls. For starters, there are those that cry that gain comes on too soon. Here's a good first lesson for ya. Turn instrument volume up to just below 2 then turn microphone volume all the way up. Microphone volume now acts as a bleed and overall volume goes down to manageable level and you'll get the most gorgeous clean tone you can imagine. Just awesome! Well worth the cost. It is beautiful to look at, sounds unbelievably like Mr. 335, and worth every penny.